Edgar is an entrepreneurial executive with a wide range of experiences within different technology driven industries like Healthcare, Telecommunications and Digital industry. This resulted in learnings and insights with regards to the development and commercialization of complex integrated solutions and services while utilizing multidisciplinary teams and technology. 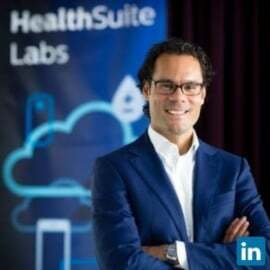 Currently Edgar is Head of HealthSuite Labs & Ecosystem management within Philips. HealthSuite Labs is a Co-create and Co-innovate environment that uses Design thinking and Agile methodologies combined with the latest digital technologies to support healthcare institutions and healthcare networks. Here the foundation of digital eHealth ecosystems is being build, where Philips innovates together with its customers, stakeholders and partners. Prior to this Edgar has been leading the global Digital IT programs within Philips and he has been Head of the Agile Center of Excellence with accountable for the transformation towards a more entrepreneurial and Agile culture within Philips which has impacted over 10.000 people.